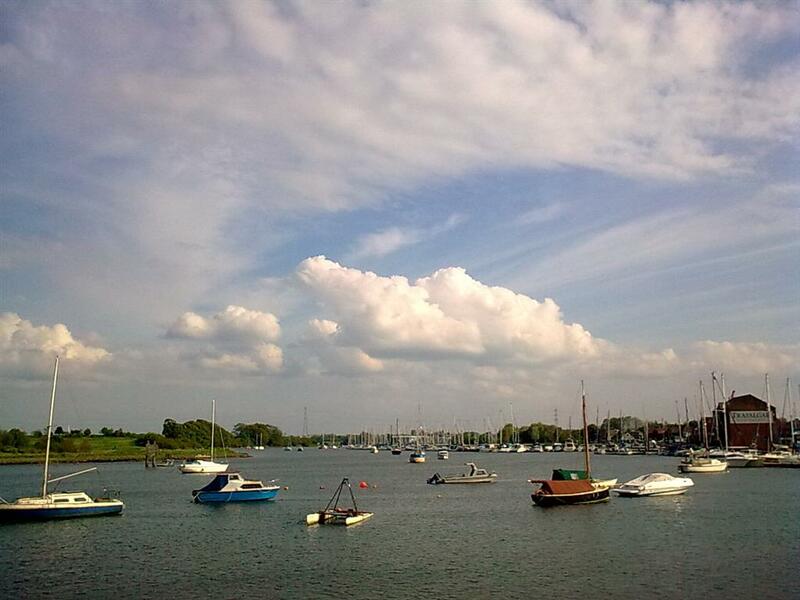 Fareham creek, looking out towards (eventually) the open sea. Until about a year ago (when the council redid the nearby roundabout and added a new crossing much closer to my flat), this was what I saw at the start of my daily commute when walking to the bus stop. Cellphone cameras really are rubbish things. Unfortunately I didn't have my real camera with me.